What are the best phone plans for unlimited talk? Not all of us like a time-limit when we’re talking on the phone. Some of us like to chat away without having to keep an eye on the time, without worrying about how much the phone call is costing. Phone plans with unlimited calling offer endless talking, limitless texting and no need to worry about the time. By signing up to an unlimited talk plan, you can ensure there are no nasty surprises or extra costs at the end of the month, even if you find yourself getting carried away on a phone call or two. $66 per 28 days with 30 GB rollover data. All three plans are prepaid – so there is no need to be locked into a contract nor get any nasty surprises at the end of the month. The plans continue to auto-renew until cancelled. If you use all of your data allocation within the four weeks, your data will stop and you will have to buy an add-on or wait for your plan to renew. Data add-ons are priced from just $4 for 200MB lasting seven days (a great option if you have run out of data just before your plan renews) to $15 for 2GB over 28 days. 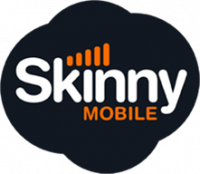 Skinny Mobile has topped Canstar Blue’s prepaid phone plan ratings for four years in a row, standing out in key areas like customer service and overall satisfaction. $75 per month with 25GB of carryover data. With both plans, you can share your data with up to five other people who are also on 2degrees mobile. This is simply done with a text or by using the 2degrees app. However, if there is more than one person in your family who likes to talk a lot, 2degrees also offers special deals for combined plans, both with unlimited calls and texts for each mobile phone. The plans have one combined month bill costing $80 for two phones or $105 for three phones, with a 10GB pool of carryover data. The other option is $95 for two phones or $120 for three phones, with a 25GB pool of carryover data. With all of these plans, 2degrees offers the option to buy selected handsets interest-free: including the latest iPhones (yes, the iPhone XS!) and latest Samsung Galaxy phones. You can pay it off over 12, 24 or 36 months. If you choose 24 or 36 months, you can trade-up to the latest phone half-way through your repayment plan for an extra $10 per month. 2degrees’ unlimited calling and texting plans apply a fair use policy. All 2degrees plans have the option to buy extra data and roaming add-ons, from $10 a month for 500MB. 2degrees has taken top spot in Canstar Blue’s customer satisfaction for phone plans for four years in a row. $79.99 per month with unlimited data. The $59.99 plan currently comes with a bonus 2GB of data each month. Data on this plan can be shared. This includes with a Shared Plan, where family members can be added to the monthly bill for $29.99 per phone, and all will have unlimited calling and texts, plus a share of the data. The data can also be shared with a tablet for $9.99 per device per month. More expensive plans with more ‘shareable’ data are also available. With the unlimited data plan, speeds reduce after 22GB of data is used during the month. No tethering or hotspots are allowed unless you buy a hotspot extra, which is $1 for 1GB share or $10 for 10GB share. All of Spark’s unlimited calls plans include 1GB of free WiFi per day from Spark’s hotspots, Spotify Premium and Lightbox. A range of phones are available interest-free for 12 or 24 months with these Spark plans, including the latest iPhones and latest Samsung Galaxy phones. Spark is the only network to gain five stars for network coverage in Canstar Blue’s comparison of New Zealand phone plans. $59.99 per month with 10GB data. Both plans are offered on open-term plans and are for personal, non-business use only. With the $59.99 plan, it is possible to share the data, including using tethering and hotspotting. Like Spark, Vodafone allows family members to be added to the plan. For $19.99 per person, each phone will have unlimited calls and texts, plus a share of the data. The data can also be shared with a tablet or laptop for $10 a month per device. More expensive plans with more ‘sharable’ data are also available. With the unlimited data plan, maximum speeds reduce after 22GB of data is used for the month. The data also cannot be shared nor used with tethering or hotspots. Until August 2019, this plan includes free Netflix for a year. The Vodafone plans are for use in New Zealand, but daily roaming to selected countries can be bought for $5 a day. With the plans, Vodafone offers a range of phones interest-free for 12 or 24 months, including the latest iPhones and Samsung Galaxy phones. It also offers its own, cost-effective, Vodafone brand phones. Review your plan regularly. 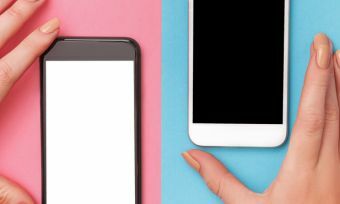 With the competitive mobile phone market, telecommunications companies are always looking to roll out the best deals and a new plan could suit you better. If a number of people in your household have unlimited talking plans, it is worth combining them for the best-value deals. All of these plans are for personal use in New Zealand, for standard calls to New Zealand and Australian numbers. You will have to pay more for premium and special numbers. Prohibited use includes re-supply, call centre use, telemarketing, bulk messaging, application-to-person communication, machine-to-machine communication, Cellular Trunking Units, auto-dialling, and continuously call-forwarding. Roaming costs are extra but a number of mobile companies offer special roaming plans. It is best to check them out before you go on holiday.